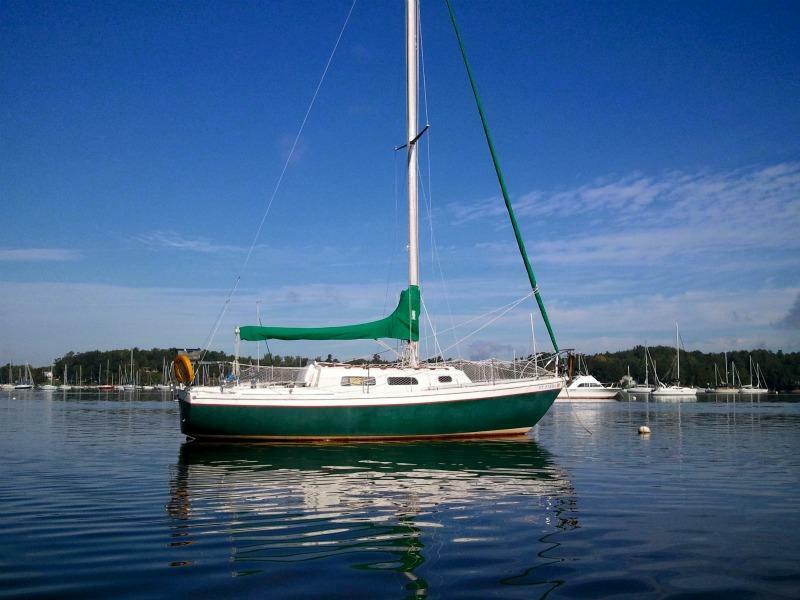 1974 Cal 29 classic sail boat, comfortable cruiser with good lines for club racing. 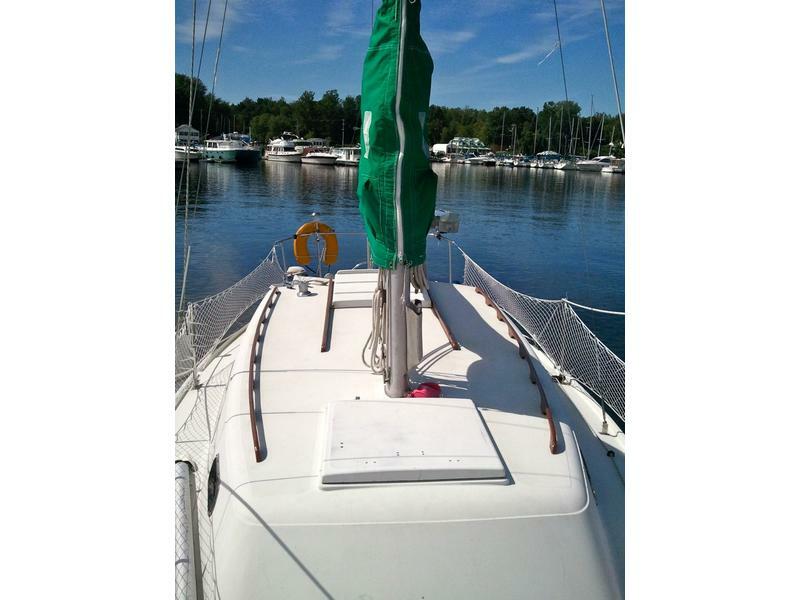 Can hit 8.5 knots in good winds. 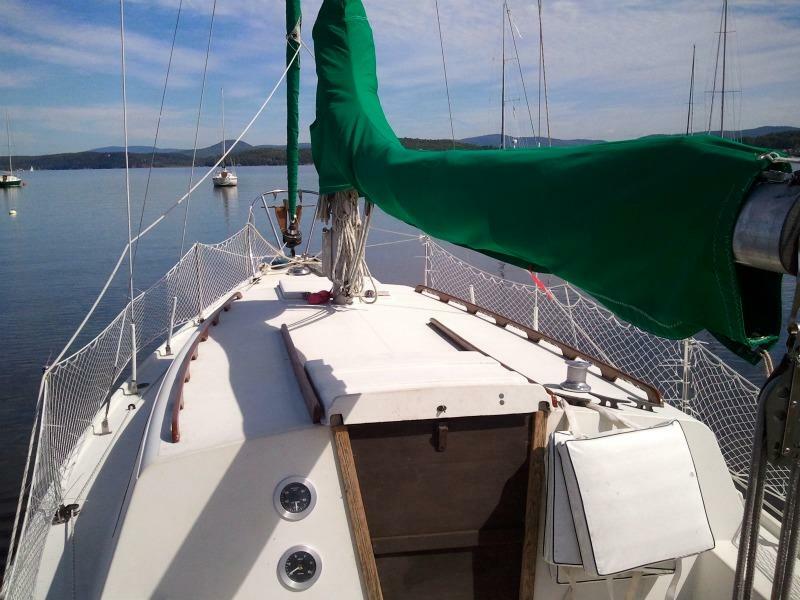 Points well, can easily handle 20 knot winds in Champlain. Sleeps 6 adults very comfortably. 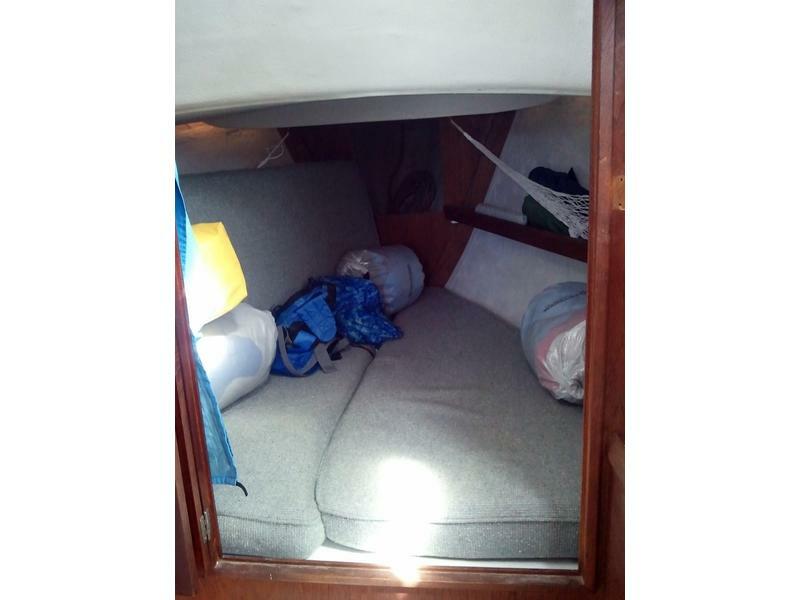 Two full size doubles and two roomy single berths. 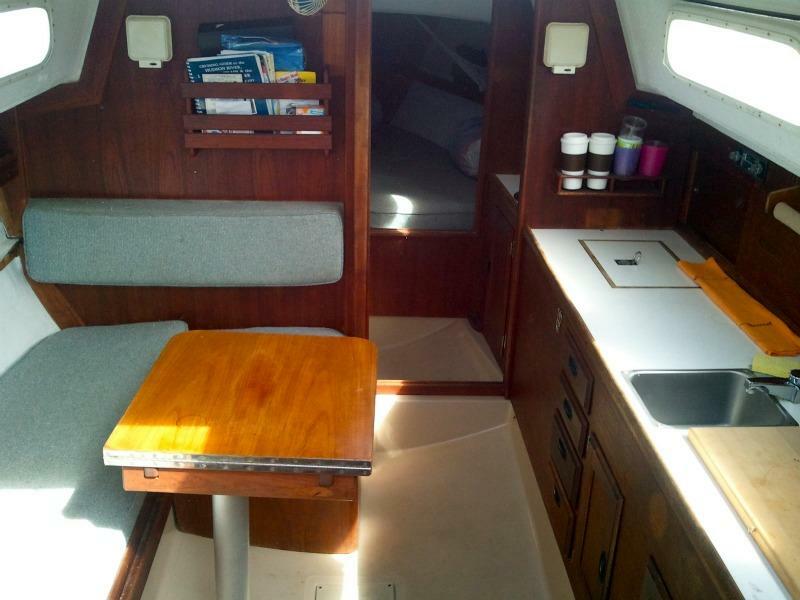 6’2″ cabin standing headroom. 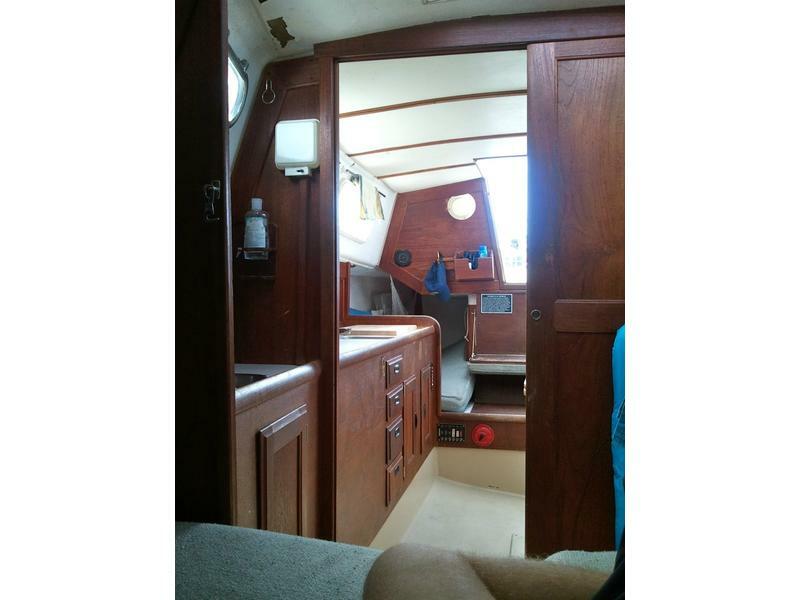 Teak interior. 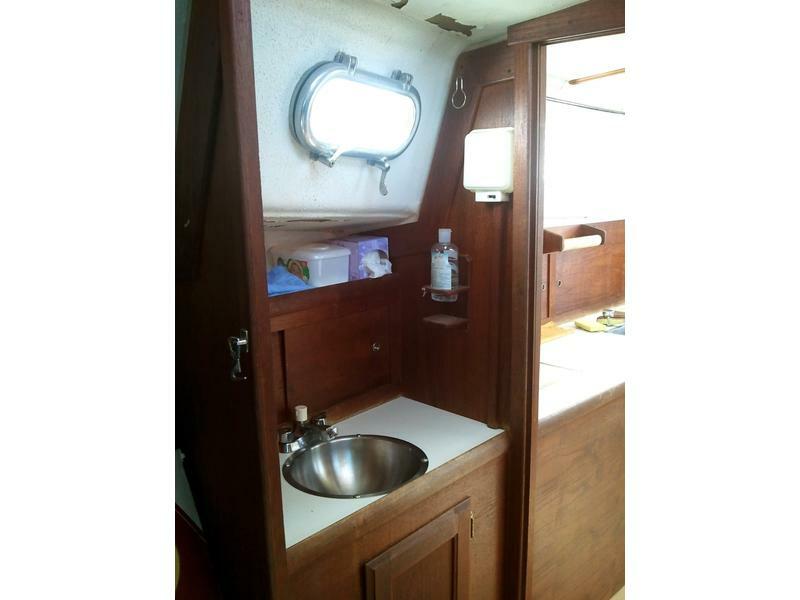 Separate enclosed head and vanity sink with privacy door. 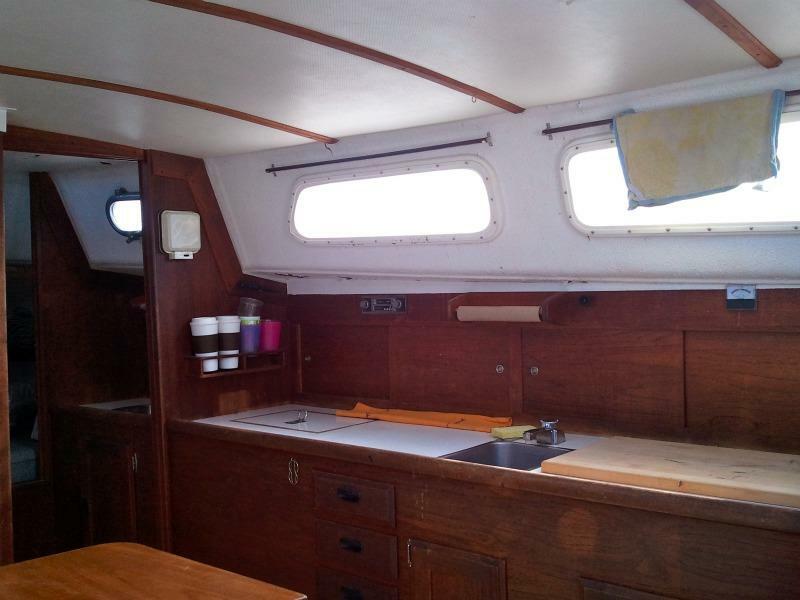 Large U-shaped seating area for 6 w/dinette. Two sinks, 20galfresh water tank, ice box and head. Pressure water system. Washdown hose with pump takes lake water. Big cockpit with pedestal wheel steering. Edson pedestal wheel steering with emergency tiller. 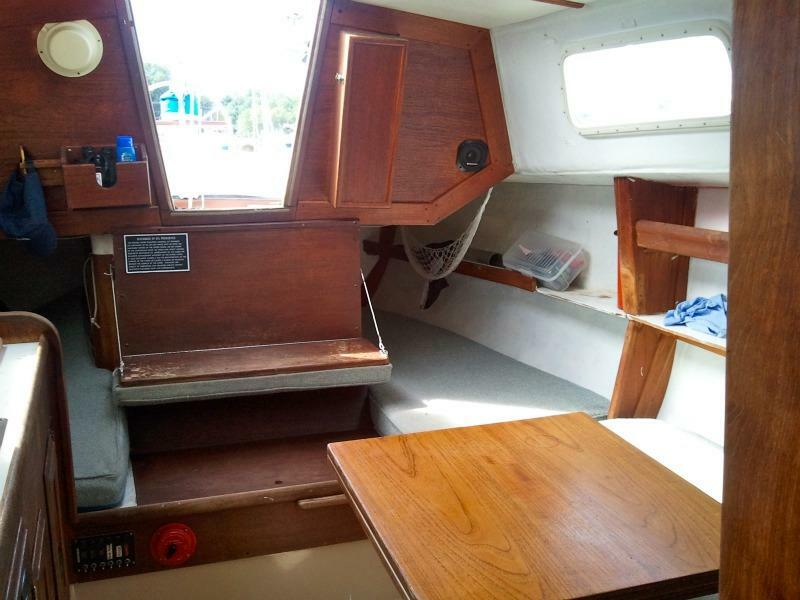 Would also seek trade for trailer-able boat.